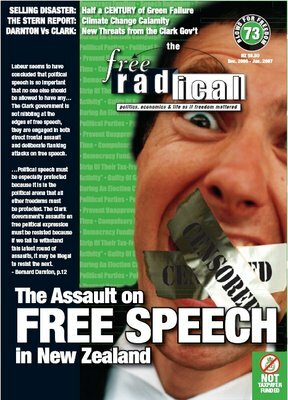 This Free Radical arrives as Kiwis make plans for summer holidays, and Americans and Brits for something cooler, and it’s packed with good holiday reading – articles to shock, to enlighten, and to offer ammunition for the inevitable debates of the holiday season. "Misleading, one-sided, exaggerating and wrong" -- that's the verdict on both Al Gore and the Stern Report on Climate Change. Free Radical 73 has all you need to gore Gore, and gang up on the Stern Gang. We have the definitive skeptics' guide to An Inconvenient Truth, George Reisman's take on why the Blair Government's Stern Report "could be environmentalism's swan song.," and more -- much, much more! One pledge card ... slightly used ... Bernard Darnton sells a pledge card, one bidder at a time. Turning illiteracy around -- find out about the reading warrior turning illiteracy around for troublesome non-readers. The 'Third Way' of the left and the Neocon new right are two sides of the authoritarian middle, says Peter Cresswell. Find out more inside. One whole half-century of green failure. The Free Radical centre-section has the goods. 'Sustainability isn't sustainable, says Peter Cresswell. Too little globalisation, and too little capitalism, says Johan Norberg. All that, PLUS humour, insight, all your favourite columnists, and the Best of Beer in 2006! 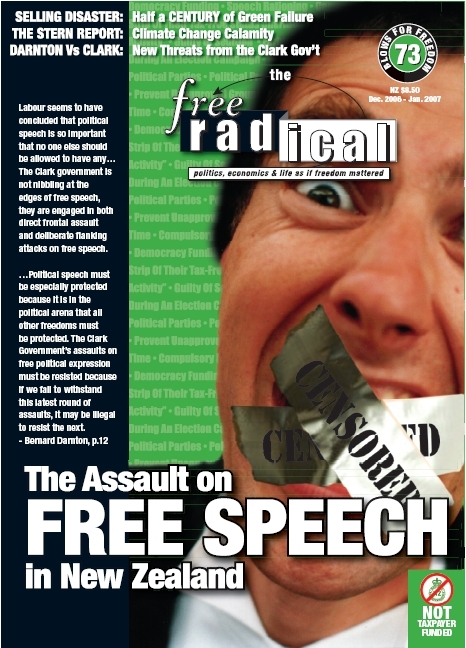 Get your Free Radical now, and be ready for the summer holiday debating season. The Free Radical -- out today, and in all the best shops from Monday. Don't miss out: Subscribe now.